The North London Regional Access Centre (NLRAC) is an accredited centre, offering needs assessments, assistive technology training, advice and support for disabled students in higher education. The services of our main and outreach centres - Bloomsbury and St Mary’s - are available to any disabled students applying for or attending a UK-based institution. We want you to get the most out of your studies, so we offer a seamless provision of disability support, to minimise unnecessary barriers to learning, enabling you to focus on achieving your full potential during your time at university. Liaison with support providers to ensure support is arranged quickly and effectively. Please note that our office is located at Middlesex University. 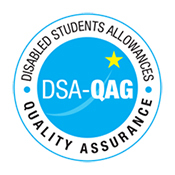 NLRAC is accredited by the Disabled Students Allowances Quality Assurance Group (DSA-QAG) as approved assessment centre, which provides a quality assurance service for assessment centres and suppliers involved in the delivery of the DSA in England and Wales. Appointments for all assessment centres are available from 9am to 5pm Monday to Friday, with assessments available at Middlesex NLRAC at evening and weekends on request. To make an appointment for any centre or to find out more about our services and waiting times, please call 020 8411 5366 / 0779 266 3197 or email adminac@mdx.ac.uk. 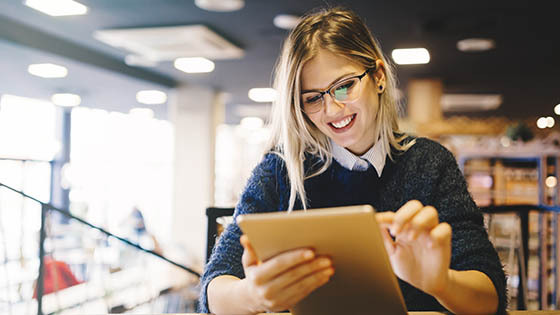 Please note that NLRAC operates a flat fee policy; this means the cost of your assessment that is stated on the letter from your funding authority also covers any queries or top-up assessments that you may need for the duration of your course – there will not be any additional charges to you from the assessment centres. Expected waiting times for a study needs assessment are up to 15 days, but appointments are typically arranged within one week. We are usually able to offer an appointment within a day, please email us to book or confirm your time. What does North London Regional Access Centre do? North London Regional Access Centre (NLRAC) is an assessment centre which carries out Study Needs Assessments for disabled students eligible for the Disabled Students’ Allowances (DSA). NLRAC is accredited by the DSA-QAG (Quality Assurance Group) which provides a quality assurance service for assessment centres and suppliers involved in the delivery of the DSA scheme in England and Wales. What happens at the Study Needs Assessment? The Study Needs Assessment is not a test, there is no need to worry. It is a meeting between you and an assessor: an experienced and qualified person with knowledge of specialist equipment and who can support students with disabilities to study successfully at university. Students with a range of disabilities are assessed, including dyslexia, mental health or long-term medical conditions. At the meeting your needs and the demands of your course will be discussed. You will be able to see and try out the various pieces of ergonomic equipment and assistive software recommended by your assessor. The assessor will work with you to find the best solutions to aid your study and will aim to reach agreement with you about the equipment and support recommended. How long is the Study Needs Assessment? Most assessments take up to two hours, however, some more complex cases may take longer. It is very important that you arrive on time for your assessment because if you are more than 30 minutes late, the assessor may not have time to see you and your appointment may have to be rescheduled. How do I arrange for a Study Needs Assessment? Before you arrange an assessment, you must have written confirmation (email or letter) from your funding body that they agree for you to have a Study Needs Assessment. Your DSA approval letter or email that your funding body sent you. Your medical evidence and/or diagnostic report; it is the same evidence you sent with your DSA application. A pre-assessment form that we will email to you at the time of booking. Simply fill it in and email it back to us. If you have any special access requirements such as parking, British Sign Language interpretation, dimmed lighting or access to special equipment, please let us know in advance so that we can make the necessary arrangements. Do I have to pay for my Study Needs Assessment? Like all assessment centres, NLRAC will charge a fee to carry out your study Needs Assessment and produce the assessment report. You will not be personally charged for the assessment. The fee (£660 with no VAT) will be paid by the funding body as part of your DSA General Allowance. NLRAC will invoice your funding authority directly. What does the Study Needs Assessment fee cover? How do I prepare for the Study Needs Assessment? How is the course delivered, e.g. lectures, seminars, labs? How are you assessed, e.g. exams, coursework? How might the workload change over the course? How much reading will you need to do? How many teaching days/ hours are there every week? Do you need to go on a placement or undertake field trips? Think about how effective your previous study strategies were. Did you have help from family, friends or teachers, or people who might not be able to help as much now? Make sure you know how to get to the Access Centre. Arrange any personal assistance you might need during the day. If relevant, bring along a few recent examples of your written work, such as lecture notes. Speak to your tutors and disability support staff about your specific needs, as they could have useful suggestions. A letter from a tutor or disability adviser giving details of any specific concerns can be brought to the assessment or emailed in advance. Consider all the things you will need to be able to do when taking the course. Think about how your disability or condition might affect you on the course. Look at various strategies you could use, some of which might involve using technology aids and to do these things as independently as possible. What will the Study Needs Assessment Report include? The assessor will produce a written report of what was discussed and recommended during the assessment meeting. The report will be sent to you and your funding body for their agreement. The report (sometimes referred to as a 'Needs Assessment Report' or NAR) is used by funding bodies to work out the support they are willing to fund from the DSA. The assessment report will also help you and your university or college to discuss and agree important study strategies so that you can get the most out of your course. Your Needs Assessment Report will detail the issues that you discussed with the assessor during the assessment. Please let the assessor know if there are any points raised in the discussion that you would rather not see noted in the final report. Recommendations for DSA funded equipment will be in line with the DSA Quality Assurance Framework and the relevant funding body guidelines. Suppliers of equipment recommended are those working to the DSA Suppliers Service Level Agreement. We aim to produce your report within ten working days. Sometimes your assessor may ask you to provide additional information in order to complete the report. We will send you a copy of the report and submit it to your funding body within ten working days of your assessment. You will have the option of seeing the report before it is submitted to the funding body for their consideration. Should that be the case, you need to respond to us within five working days of receiving your draft report. How do I know that my support has been approved? On receipt of the study needs assessment report, your funding body will consider the recommendations made by your assessor. They will make a decision and will write to you directly explaining what type of support has been approved and what to do next. Please read this entitlement letter carefully. If you do not receive the entitlement letter within two weeks of receiving the report, please contact your funding body to enquire about the progress of your application. You could also ask your institution’s Disability Officer to assist you. Who organises my support and equipment? It is your responsibility to do that. Once you receive your entitlement letter, you need to contact the equipment supplier and your support supplier(s) to make the necessary arrangements. The entitlement letter explains everything in detail, please read it carefully. If you need help, contact your institution’s Disability Officer, who will be able to assist you. You can also contact us for guidance. Do I need to pay for my equipment or support? Students who do not have their own computer are asked to pay £200 towards the cost of a DSA-funded desktop or laptop. If you are not able to make the £200 contribution, contact your university or college for advice. Student who are approved for DSA-funded travel support are asked to pay the public transport cost for their journeys. The remainder of the cost is covered by the DSA. What kind of computer will I get? Your assessor can normally recommend a standard Windows laptop or desktop computer that meets the minimum requirements to run the assistive software. If you prefer a different computer, for example a high specification machine or an Apple Mac, you can negotiate with your equipment supplier at the point of ordering. It will be your responsibility to cover the difference in cost. Please note that you cannot decline some elements of your DSA award to pay towards another. For example, it will not be possible to decline a software package in order to use the funding towards an Apple Mac. If you decline an item, the funding for it will simply be deducted from the total allowance. Can I purchase my computer from a high-street shop? Yes, you can, but you need to ask your funding body’s permission before you do that. Who will deliver and set up my equipment? Your equipment supplier will explain to you how to order your equipment. They will agree a delivery date with you and will help you set it up when it arrives. They will check that the correct items have been delivered and are working properly. What if something goes wrong with my equipment or my support? If you have any technical queries (e.g. problems with the equipment or software), contact your supplier. Your DSA- funded equipment will be insured, so check the insurance policy after delivery. If there are issues with your support, you need to discuss them with your support supplier. If the issues still persist, please contact us and we will try to help. Car parking is available on site for Blue Badge holders, and can be arranged in advance upon request. The table below shows NMH rates. The greyed out cells indicate that the NMH provider does not offer these services. Note: NMH Support Rates shown per hour in the table below.